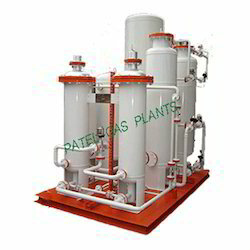 Prominent & Leading Manufacturer from Vapi, we offer hydrogen gas generation plants. We are recognized as an eminent entity, engaged in offering a wide range of PSA Hydrogen Gas Generation Plants. With the help of advanced technique and using premium quality components, our highly educated professionals manufacture these gas generation plants in accordance with the international standards. The offered gas generation plants are widely demanded by our clients for their excellent features like longer service life, reliable performance, high functionality, energy efficiency and durable finish standards. Looking for Hydrogen Gas Generation Plants ?